The all-new Infinix latest flagship comes with a seamless and smooth design making it comfortable in your hand. This latest flagship comes with a 5.7 inches display size just like its predecessor with a high screen resolution and sharpness. Infinix has taken several steps further to enhance and improve the Infinix Note 4 Pro with a long lasting battery life. You can enjoy up to 6 hours offline music and 2hours talk time with a 5mins charge on the Infinix Note 4. Also, the Xcharge features boost your phone battery to 45% in just 30mins. Now you can watch movies, download and stream your favourite music playlists, browse the web without any worry of an immediate low battery notification. The powerful NOTE 4 Pro octacore chipset gives the best experiences in gaming, streaming, or surfing the internet. 3GB RAM delivers enjoyable and smooth performance, and up-to 128GB external memory provide excellent overall user experience. The NOTE 4 Pro user experience offers many new and interesting features based on Android N. It has the Multi-Windows which means you can simultaneously process two applications using a split-screen view. Also, the NOTE4 Pro introduces an upgraded Fingerprint function that adds viewing of photo libraries, voice recording, and customizing quick opening of apps via different finger input. 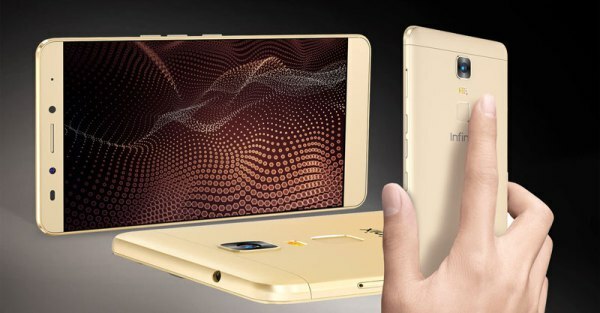 Infinix NOTE 4 Pro has the newest Sharp 5.7” display feature with high color gamut - reaching 85% NTSC, which is 20% higher than most competing smartphones. With a 1300 (TBD) contrast rate and luminance, exceeding 500cd/m2 which together makes the screen unbelievably colourful, clear and dynamic. Elegant metal design. The NOTE series is always blazing the trail in design. This time, NOTE4 Pro gives boasts a full metal unibody design with the most comfortable handling experience.The antenna and sound bar have both been designed for and overall elegance and unified aesthetic. Security just got better with the fingerprint sensor on the Note 4. The Note 3 takes approximately 0.25secs to unlock while the Note 4 takes 0.15secs which is faster and better. The Note 4 boasts of fast microprocessor chipset. It runs on an Octa-core chipset with a RAM of 2GB and internal storage of 16GB. Selfie and Wefie lovers are not left out with the latest flagship spotting an amazing 13MP front and rear camera giving you a crystal clear and high definition picture and video quality. The infinix zero 4 runs on the latest version of Android OS, the Nougat but this time it's the XOS 2.2 version which runs on the Nougat 7.0 kernel. Step into the future with Infinix Note 4 today! NOTE4 Pro offers an astonishing XPen to bring a totally new experience. Using Air command, you can customize XPen shortcuts anytime. Record moments and ideas in Memo, even in sleep mode, and explore your creative side in XNote. With NOTE4 Pro and XPen even you can become a painter! Meanwhile, Xpen works 40 mins with only 20 seconds charging. Order the Infinix Note 4 Pro today and have it delivered to your doorstep within 1-3 working days or same day delivery within Nairobi. Payment on delivery. You can return most items purchased at Saruk Digital for a full refund within 24 Hours of purchase. Some items have different policies or requirements associated with them. Orders that do not qualify for a Return can be taken to respective Service Centres as applicable to respective items or as communicated by Saruk for clients within Nairobi. Product label containing description has to be intact unless this is the reason for the return. Once delivery has been done, the product remains the property of the client until picked by our agent or the customer has dropped off the item at designated locations as directed by Saruk. Any irresponsibility on the part of the customers shall not be tolerated.